At Miller Nissan, we strive at being the best in everything we do! Yes, we sell SUV’s, VAN’s, Truck’s, Cars, and even Boats, but what makes us different is our ability to understand what our customers “Actually” need in a new vehicle. That is what makes us so good when it comes to working with Local and Non Local Businesses. The All new Nissan NV lineup has the latest in innovative technology and Nissan Quality performance. The Nissan NV has State-of-the-Art Cabins with High and Standard Roof options. Simply put, they have Remarkable Cargo Space. Nissan NV has engine options that range based on your needs for your business. There is not a “One Size Fits All” concept when it comes to buying a Commercial vehicle! Someone that works for a Floral Delivery Company wont need to pull heavy weight or have higher end torque. Somebody that works construction job sites may need the extra cargo room for equipment or lumber. Everybody has a different vision when it comes to what they need to run their businesses successfully. 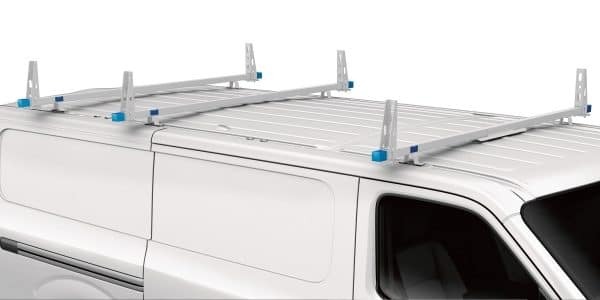 The NV Cargo High Roof and NV Cargo Standard Roof are the kinds of vehicles you need to do business today: Smarter, tougher, and with more comfort. Available advanced technology that keeps you connected! With long days on the road, you need a workplace that’s as comfortable as it is smart. The NV Cargos Truck-Like design gives you plenty of legroom and foot space, while the available under-seat drivers storage tray and available 12-V and 120-V power outlets in the center console keep your business on the move! The NV Cargo gives you the room you need to grow your business, with a class-exclusive available mulit-tasking lockable center console and Class- Exclusive standard front FOLD DOWN front passenger seat that creates a convenient work desk. With Wear- and Spill – Resistant seats, while your working hard today, you’ll be looking good for years to come! With Nissan UpFit Engineering, NV Cargo has been designed to let you create a commercial vehicle that works especially hard for the unique needs of your business. It starts with Flat-Wall Interior design. This maximizes all-important floor space, Plus opens up additional room at the top of the Cargo-Containment system. With the choice of an UpFit allowance, complimentary and discounted shelving and UpFit packages, NV Cargo helps your Hard-Working dollar go even further! 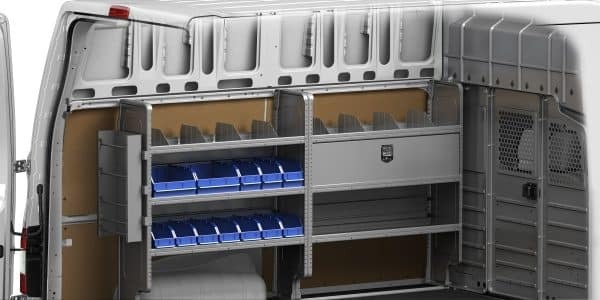 Available with the complimentary and upgrade shelving packages, the NV Cargo has been design to let you create a commercial vehicle that is small on the outside, but provides lots of room on the inside. We offer complimentary upfit packages as part of our exclusive Business Certified network. Choose from racks and bins at NO ADDITIONAL cost, complimentary exterior graphics, or an upfit allowance of your choosing. VIEW OUR NISSAN INVENTORY TO FIND THE COMMERCIAL TRUCK THAT’S RIGHT FOR YOU!